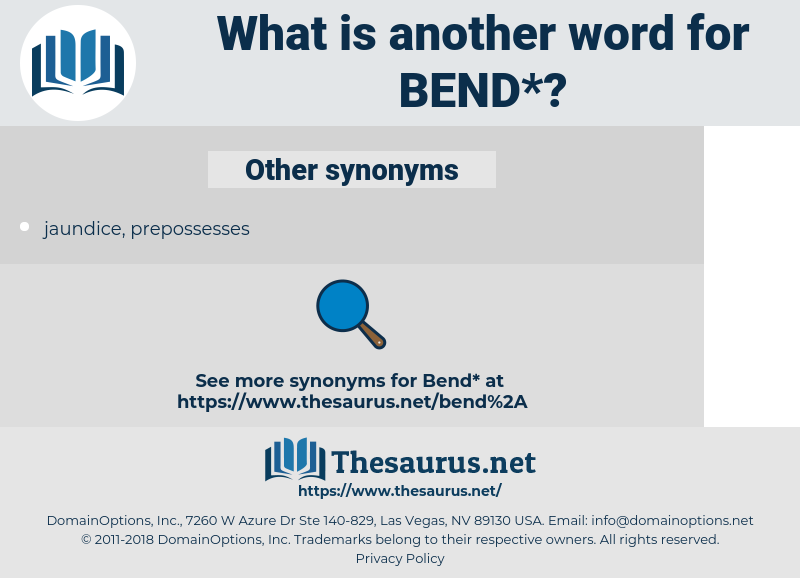 What is another word for bend? offends, contravenes, infringes, deviates, breaks, Violates, breaches, commits. deform, circumvent, distort, bypass, turn, plaice, abide, comply, fold, break, relent, pander, cave. I walked on, and turned the bend he had come around. I'll call one of my servants, for any one of them can bend such a bow as that! 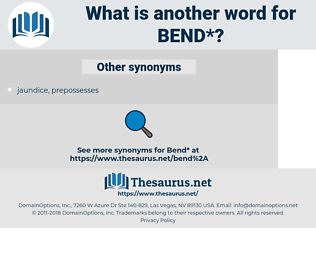 Bay Of Fundy, Baphia Nitida, boneheaded, bayonet, bufonidae, binet, bennett, bee moth, benweed, bountied, bunt, bind, bindweed, bandy, behind, bentwood, bent, bounty, bended, boom out, bonehead, bow window, beyond, band aid, biont, by hand, BMDO, buoyant, band, bonete, bond, bandit, binate, bound, beneath, bantoid, bonnet, bipinnate, by mouth, behemoth, bay window, benet, benday, beaumontia, bantu, bennet, bandwidth, banded, bounded, beef fondue, boned, bonded, bandeau, bon mot, banned, bonito, beau monde, beaumont, bonnethead, bouffant, buy into. or, beaver state, ore., oregon. blind curve, blind bend, hairpin bend, elbow. cower, double up, slant, creep, crouch, tilt, curl up, cringe, curl, incurvate, draw in, bend, fawn, lean, crawl, arc, replicate, angle, bow, retroflex, double, stoop, tip, grovel, crook, curve, double over, arch. change shape, change form, turn, deform.